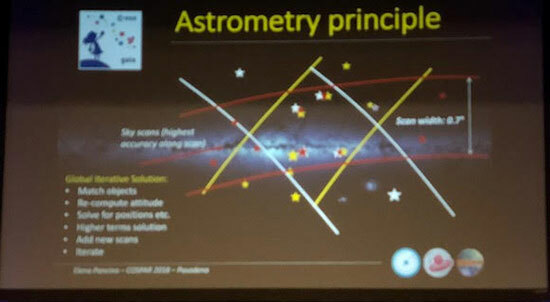 The first major session for each day at COSPAR began with a general purpose lecture that covered some aspect of space research for a more general point of view and of interest to non-specialists. I really enjoyed these plenary type of sessions. 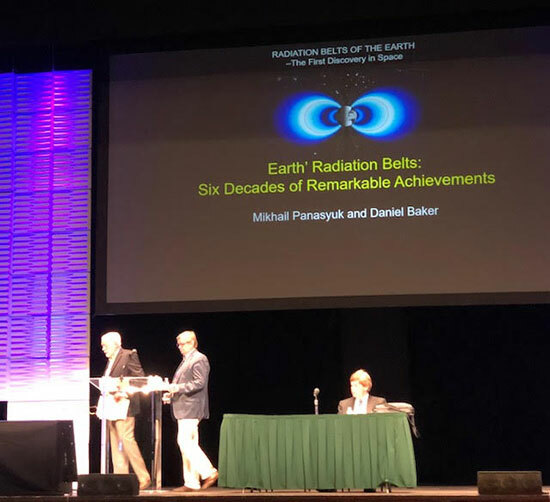 This first plenary session was on the history and discovery of the Earth's radiation belts and the cooperation and competition between Russia and the US during this long period, which started with the first space based detection by Sputnik in 1957. Two speakers, one from the US and one from Russia; one a student of Professor Van Allen and the other a student of the equivalent researcher in Russia, Professor Vernov. It was really neat to hear about the excitement that was generated by these early discoveries and investigations. I had not realized how complex the radiation belts were and how they change and evolve based on other activity, mostly from the Sun. 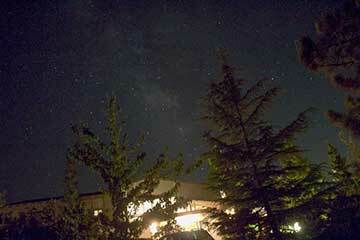 They did tell the story of one scientist who exclaimed, "My God, Space is Radioactive." 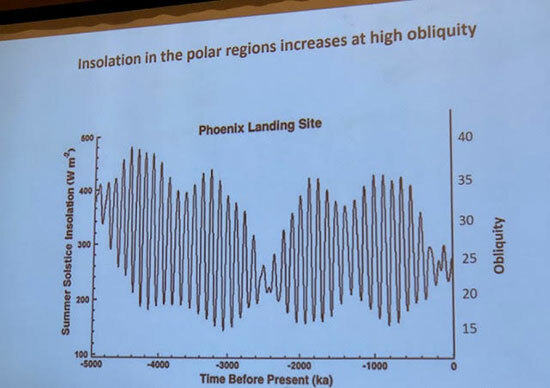 It was really an exciting time and it did not stop them from setting off nuclear explosions in space to see how the radiation belts would be affected. I don't recall hearing much about those experiments, but I do recall a sci-fi movie about the day the radiation belts caught on fire because of some supposed experiment. I guess we didn't have to really worry about it, and setting of nuclear bombs in space is now prohibited, but it did show the long history of trying to understand the radiation belts and about how they form and how they decay and change. I think I got hooked on the subject and might have to check out one of the several book vendors in the exhibit hall and find a good textbook on the radiation belts! 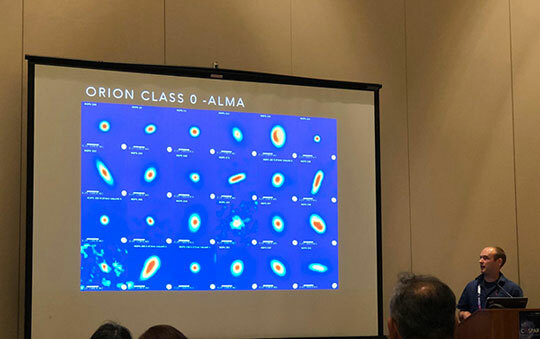 The 2nd plenary session the next day covered the Gaia mission and how the new accurate measurement of both position and velocity of hundreds of millions of stars will revolutionize astronomy and our understanding of the universe. 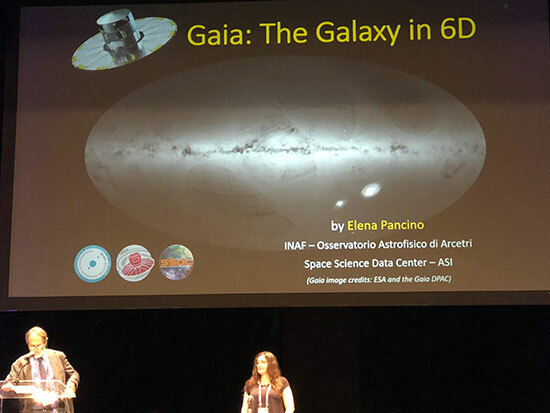 Elena Pancino did an excellent job of describing how Gaia works and how the measurements of such high accuracy were made. 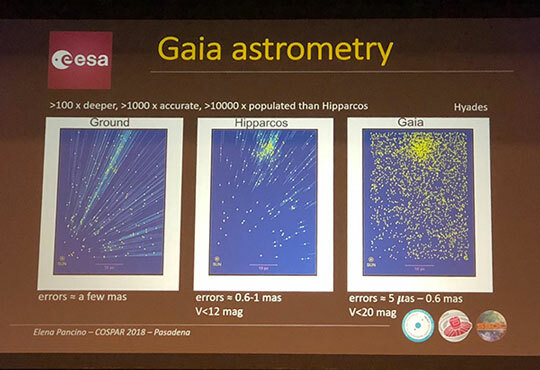 For instance, check out how the progress in astrometry, starting with ground based measurements using parallax and other methods, has evolved through big improvement from Hipparcos probe and finally ending up now with Gaia. In the slide below you can see how the number of stars has continuously increased in each of these studies and also how the error bars have continuously shrunk. One of the big questions that I had, and you might have been asking this too, is how does Gaia work to get such astonishing accuracy? The following slide, shown a little bit fuzzy in my camera shot, shows how it sort of works. Remember than Gaia satellite has two telescope cameras, point almost at right angles to each other, so that different parts of the sky can be imaged simultaneously. As the satellite moves in its orbit, it sweeps across the entire sky and photographs each field of view region up to 70+ times. Each of these images is taken at slightly different orbital position and then, when all of these images are analyzed in a gigantic computational process, the slightly different positions of the stars can be used to calculate the actual positions and velocities very accurately. The cameras on Gaia are made up of multiple CCD arrays and algorithms are used to detect variable stars and even detect asteroids and track their motion across the sky. Pretty neat stuff! Check out the Gaia project website for more of the details. 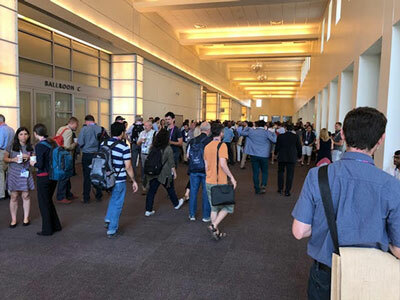 One that many attendees looked forward to, after sitting and listening and discussing the latest results, were the morning and afternoon coffee breaks. The photo below shows one example of the rush to and from the coffee station. Luckily, I had just got out of the crowd with my coffee and could look back on the activity. Yep, it does seem that the density of astrophysicists really goes up as one gets closer to the main attractor! We have reported several times in recent blog posts how the high angular resolution possible with arrays of radio telescopes. This resolution combined with the capability of tracing the gas that makes up protoplanetary disks, even though it can't usually be seen in optical wavelengths, to be mapped. Check out the examples of protoplanetary disks in the photo below. Another example of where radio waves can give us more detail than is possible with visible light is shown in the photo below, which shows how the Juno Microwave Radiometer can be used to look beneath the cloud cover on Jupiter to show us the underlying structure and gas density. In this case, ammonia, which is one of the gaseous components on Jupiter, is used to follow what is going on underneath. 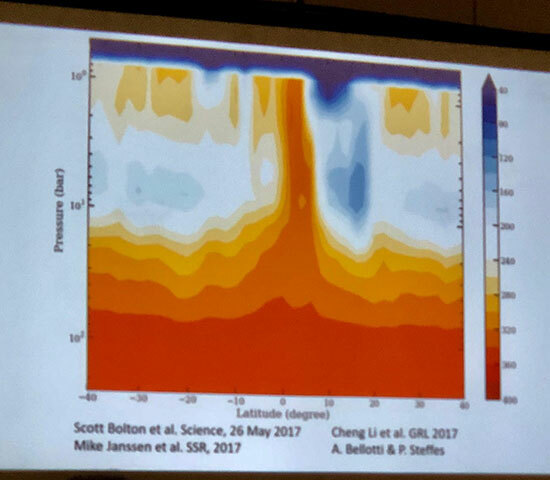 The slide shows the surface of Jupiter at the top of the screen and we can see density differences all the way down to where the atmospheric pressure gets up to several hundred bar. Note how we can see how some of the surface of Jupiter, seen in optical wavelengths, can be correlated with differences way down in the atmosphere below. Ok, that is about it for now. There was many other interesting discussions and I am not able to say much about them here. Other scientific news, that I did not hear much discussion on at COSPAR, was the 2018 release of the latest data and analysis by the Planck CMB team. I didn't hear about any big news there and it seems the error bars just keep getting smaller and smaller and so the tension between the two leading values for the Hubble constant (See January 9, 2018 blog post, or example) continues.